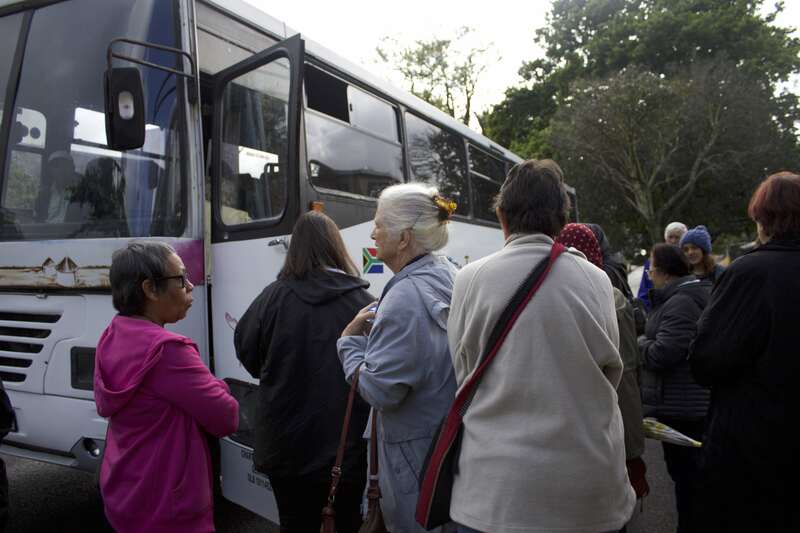 On a drizzly September morning a bus full of “pilgrims” set off on the annual interfaith bus tour. The rain soon stopped and St Michael’s Catholic Church Rondebosch was a beautiful start to the day. 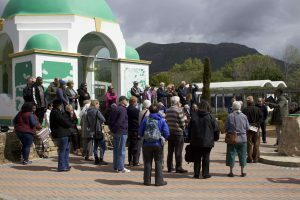 We then visited a Kramat in Constantia and back to the Soka Gakkai International Buddist centre in Eco village. At each location we were given a brief informative talk. We then proceeded to the Ahmadiyya Jama’at in Rondebosch East where we were treated to a delicious lunch. Lastly we visited the Ananda Kutir Ashram in Rondebosch East. All our hosts were so welcoming and hospitable happy to open their doors to us. 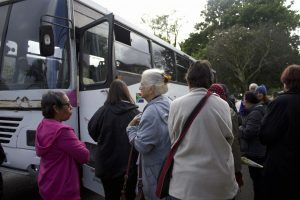 Judging from the comments and some appreciative emails our fellow travellers enjoyed the day and were most grateful for the opportunity.